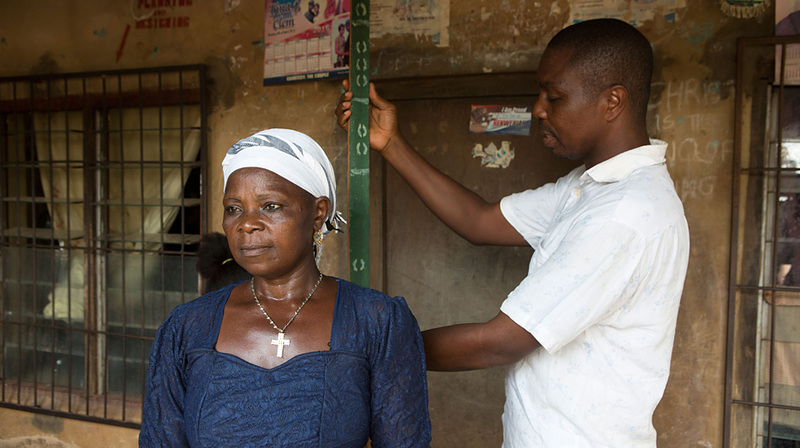 Ani carefully measures neighbor Cordelia Anude’s height to determine the proper dosage of Mectizan® for the treatment and prevention of river blindness. In 2016, the Enugu State Ministry of Health named him the best distributor in the entire state for his teaching skills, careful recordkeeping, and deep commitment to humanity. Blessing Confidence Ude, 20, said watching Ani care for their village inspired her to become a community drug distributor, too. Now she serves as his assistant. 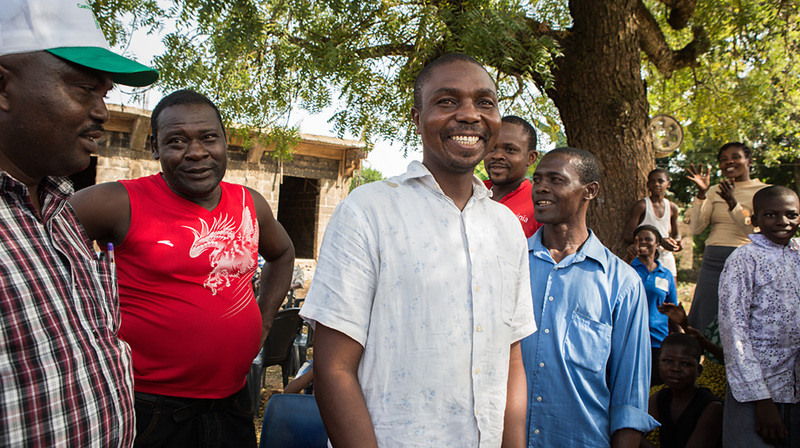 By volunteering their time to deliver medicines and health education, Ani and other distributors like him are helping to free their communities from river blindness and other neglected tropical diseases. 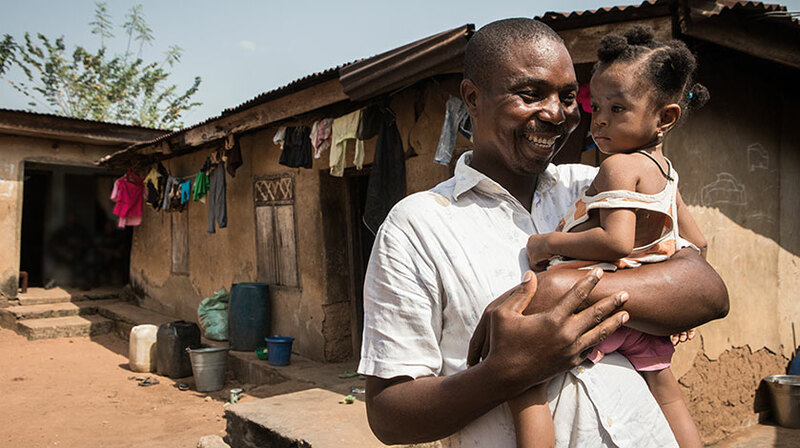 A beaming Ani cuddles his daughter near their home in Ndiulo Enugu-Nato village within Enugu's Aninri Local Government Area. Between Gabriel Ani and his community, it's hard to say which one loves the other more. Ani, a 40ish farmer and schoolteacher, is the Carter Center-trained community drug distributor in Ndiulo Enugu-Nato village, Aninri local government area, Enugu state, southeastern Nigeria. 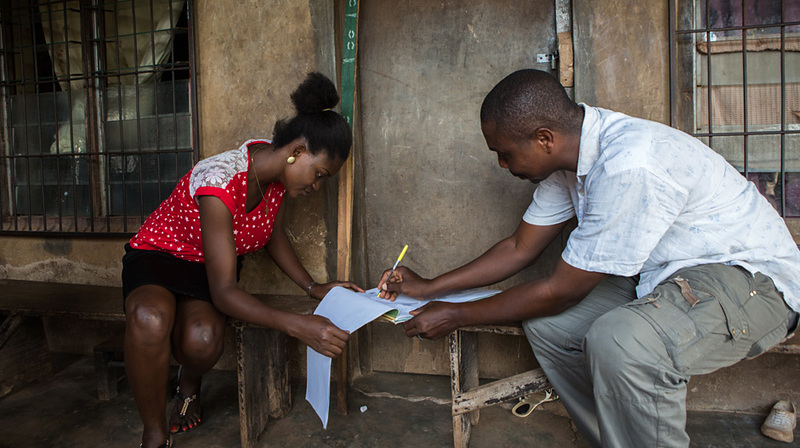 Chosen by his neighbors, he is responsible for delivering health education and medication against river blindness to more than 1,000 people in 129 households. Ani's compassion and empathy make the volunteer health worker stand out, even in his own home. "My son, who is 14, is proud of me," he said just above a whisper. "He asked me, 'Dad, why do you want to help people all the time?' I told him that it's in my blood, that I love it. And he told me that when he grows up he's going to be like me." Ani's mother, Grace, beams when she talks about him. "I'm a proud mother," she said. "He's industrious, he works hard, he's very smart. He's good at everything." People outside his household and village have noticed him, too. In 2016, the Enugu State Ministry of Health named Ani the best distributor in all of the state. He was chosen for his dedication, his accuracy of recordkeeping, his excellent teaching ability, his personal interest in his clients, and his general regard for humanity. 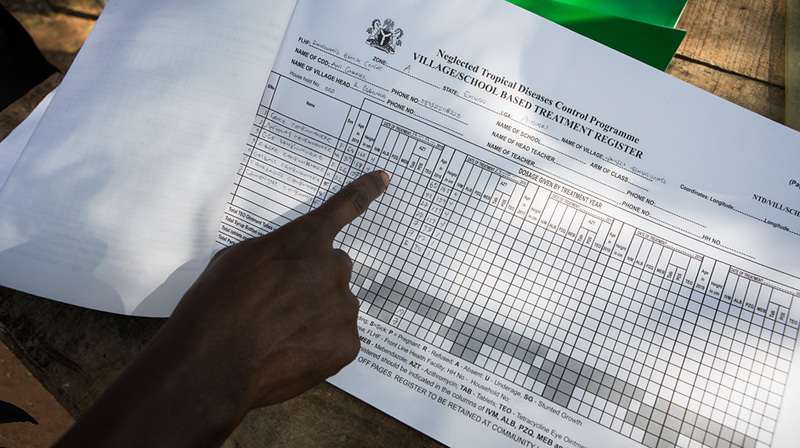 Those qualities shine through as Ani instructs groups and individuals on the threat of river blindness (technically called onchocerciasis) and how to avoid it. He carefully measures each person's height to determine the proper dosage of Mectizan®. 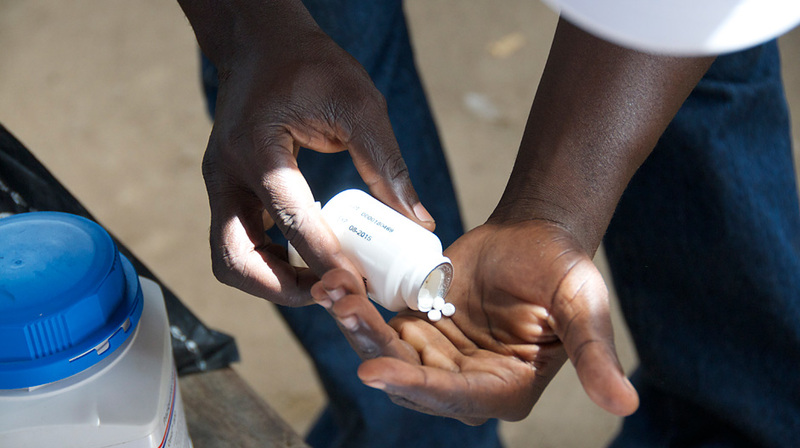 In other locations, distributors like Ani hand out other medications for tropical diseases including lymphatic filariasis and schistosomiasis. Nwaeze has enlisted Ani to train other distributors, "so his skill and dedication now benefit many villages, not just his own," the supervisor said. Among those he has trained is a tall 20-year-old woman named Blessing Confidence Ude, who now serves as his assistant in the village. Upon returning home after an excursion to the city, she ran to throw her arms around Ani's neck in a sweet, familial hug. "He inspires me," Ude said of her mentor. "Watching the way he works made me want to do that work too, for the good of our community."